Deep in the US south, Atlanta’s temperatures this month have been in the 90s most days, with high humidity and thunderstorms typical. It’s oppressive, and the city’s heat-capturing concrete and transportation carbon emissions increase temps up to 4 degrees at night over surrounding rural areas. But there’ some relief in grasp as new green roof technologies are helping the city to moderate its climate. A green roof system is an extension of the existing roof which involves, at a minimum, high quality waterproofing, root repellent system, drainage system, filter cloth, a lightweight growing medium, and plants. They can be modular, with drainage layers, filter cloth, growing media, and plants already prepared in movable, often interlocking grids. But there are other approaches to green roofs, too. Sometimes they’re a loose laid/built-up whereby each component of the system is installed separately. Green roof development involves the creation of “contained” green space on top of a human-made structure. Green roofs can provide a wide range of public and private benefits and have been successfully installed in countries around the world. Atlanta leaders are determined to power their city with nothing but sustainable energy by 2035, so green roofs are a viable contribution to that goal. Hartsfield-Jackson International Airport is one of the Atlanta sites that has incorporated reflective roof materials and energy-efficient insulation. Several buildings have already gone green — NCR’s new global headquarters in Midtown, the High Museum, Georgia World Congress Center, SPANX headquarters in Buckhead, and Ponce City Market. 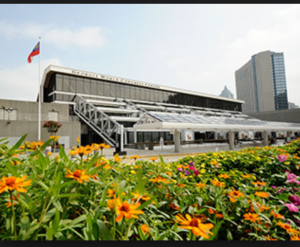 Atlanta City Hall has had a green roof since 2008, and it’s cut energy usage by 25% since then. Atlanta’s “cool roofs” are saving up to 20% in energy costs. Meanwhile, the tops of such buildings are more than a third cooler than standard roofs, which can reach July temperatures of a blazing 150 degrees. Atlanta’s investment in green, urban areas sets the groundwork for more green roofs on office towers, residential buildings, and industrial structures. The city can transform more residential and commercial structures into green, private oasis that give residents more opportunities to connect with, appreciate, and understand nature within an urban landscape. Yes, the costs of implementation and maintenance of green roofs can run 2 -3 times those of a standard roofing system. But benefits outweigh the costs — stormwater management, reduced roof temperature, efficient energy systems, and value-additions make a green roof a viable option for urban buildings. Research shows that resident turnover is lower in residential buildings that offer personal green spaces and amenities to residents. Green roofs can also have a positive effect on people’s productivity and mental wellness. Research shows that professionals that can see green space from their office windows are more productive than those who cannot. 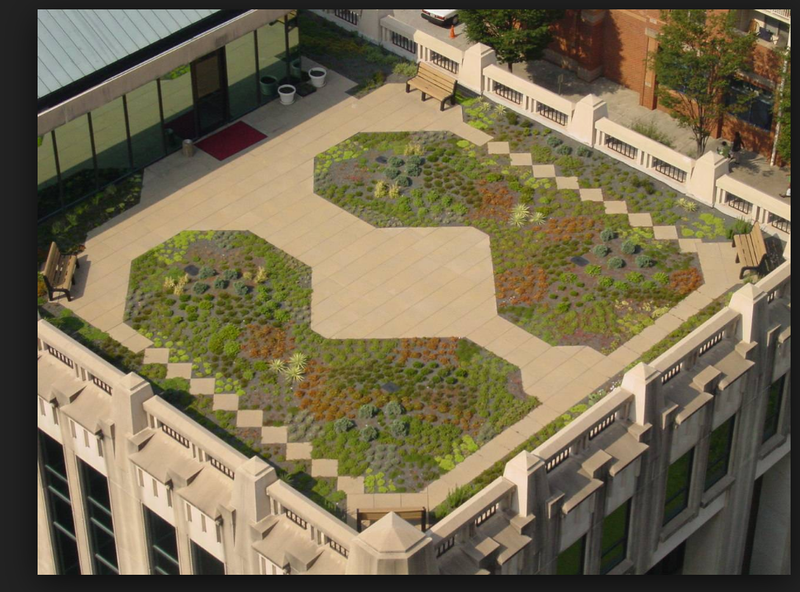 Green roofs can also speed up the recovery process for patients at hospitals or healthcare facilities. 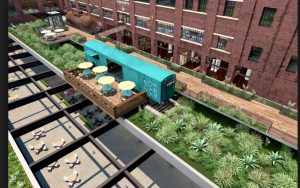 Green roofs have a lot to offer toward achieving Paris greenhouse gas emission goals, and Atlanta is going green to make that dream a reality.